Walking in to the Apple Store, I’m immediately transported in to a futuristic world where everyone is cool (you can tell by their glasses) and you can buy an iPhone by swiping your credit card through another iPhone. It’s always full yet you can still manage to find an open Mac Book to play with. 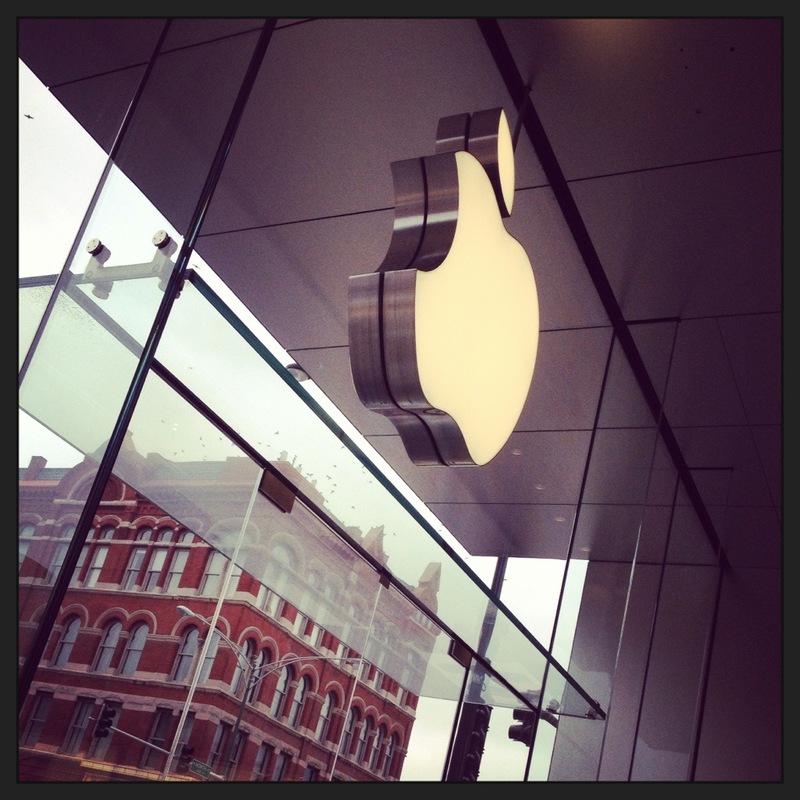 I love Apple products so its not unheard of for me to go to the store just for fun. However today the hubs and I went for a very specific purpose, the details of which I cannot share just yet. But I can say, I did walk out with a medium sized box in my arms. Very fun.